Multiple National Award Winning Actress Kangana Ranaut has added a new feather to her cap by starting the year 2019 with her Directorial Debut, the magnum opus Manikarnika which broke several box office records and is on its way to becoming a milestone in Indian Cinema. In its second week itself it has registered itself in the 100 crore club. Zee Studio’s and Kamal Jain’s Manikarnika – The Queen Of Jhansi is successfully running at the box office worldwide with a collection of Rs. 115 Crore worldwide at the end of its second week. The film collected 94 Crores gross in India by the end of its second week and crossed 2.85 Million USD in the overseas market. The film was released in more than 3000 screens all over India and over 700 screens overseas. Made in the Budget of 105 Crores ( 80 Cr Production and 25 Crores Print & Advertising) , Manikarnika was already in Profits even before its release. The digital distribution rights for the film were acquired by Amazon Prime Video for ₹40 crore and the satellite rights were purchased at ₹25 crore. The distribution rights for theater screening were purchased at ₹65 crore. The movie opened with ₹8.75 crore in domestic market. On its second day,which coincided with Republic Day holiday, the film collected ₹18.10 crore. On its third day the movie remained steady and collected ₹15.70 crore, taking its opening weekend domestic collection to ₹42.55 crore, making it the highest weekend collection for a female-led movie. Shariq Patel, CEO of Zee Studios said that they are humbled with the overwhelming response for the film Manikarnika – The Queen Of Jhansi from all around the world. Vibha Chopra, Head at Zee Studios International mentioned that the film has done really well in UAE, USA and Australia market and continues to hold strong. The film has resonated well with all age group people around the world. 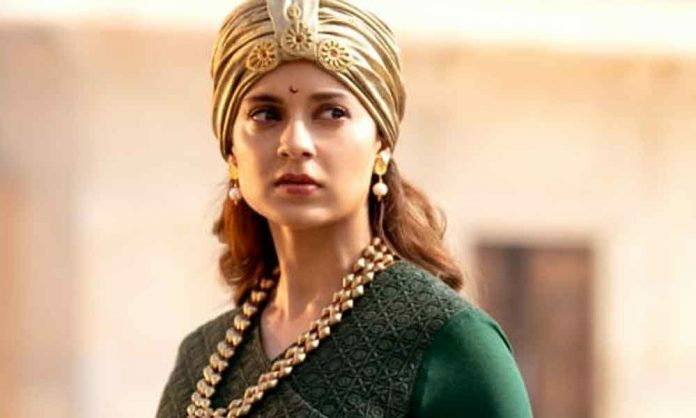 Kangana Ranaut’s Manikarnika is a biopic on Rani Lakshmibai and is running strong in Theatres crossing 115 cr Worldwide in just 12 days with a strong word of mouth and audience has been raving about her performance both as an actor as well as a Director. Previous articleThis Was The Driving Force Behind Kirti Kulhari Which Helped Her Ace The Role Of Anjana For Four More Shots Please!